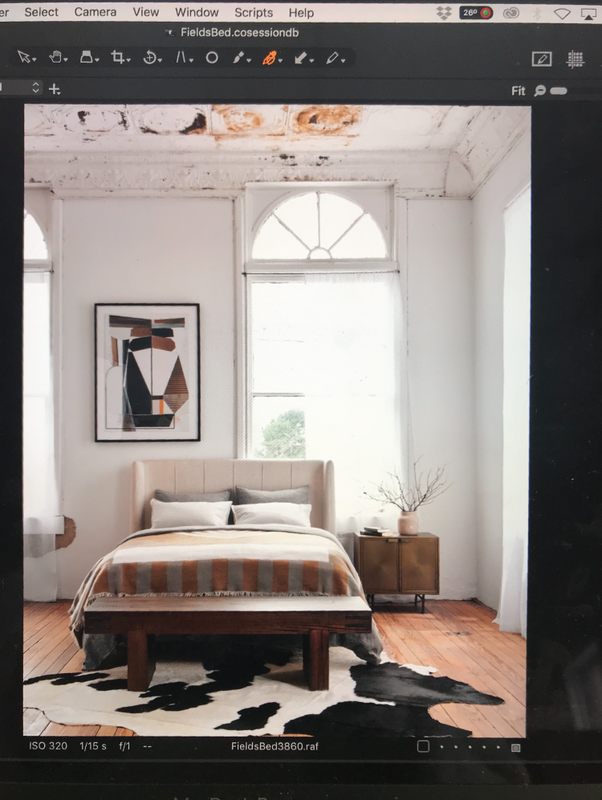 Each season, members of our marketing and product development teams scout intriguing spaces for seasonal photo shoots. Each shoot spurs new lifestyle imagery, keeping our looks fresh and imaginative. Our brand stylists and merchandisers play pivotal parts in styling each shot to perfection. 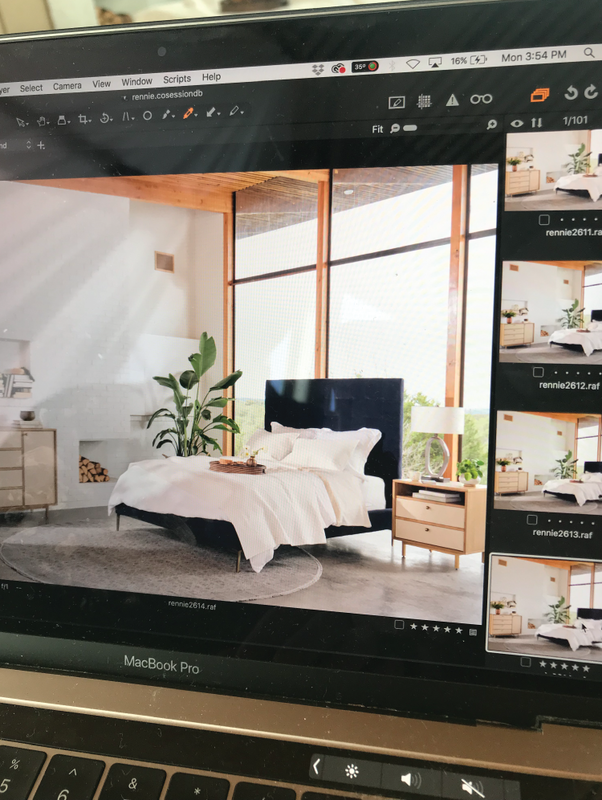 As bedroom scenes are frequent crowd favorites, the same question is commonly asked: What goes into styling the picture-perfect bed? To answer that popular question, we look to our brand stylist, Hilary, for thoughtful tips and tricks. 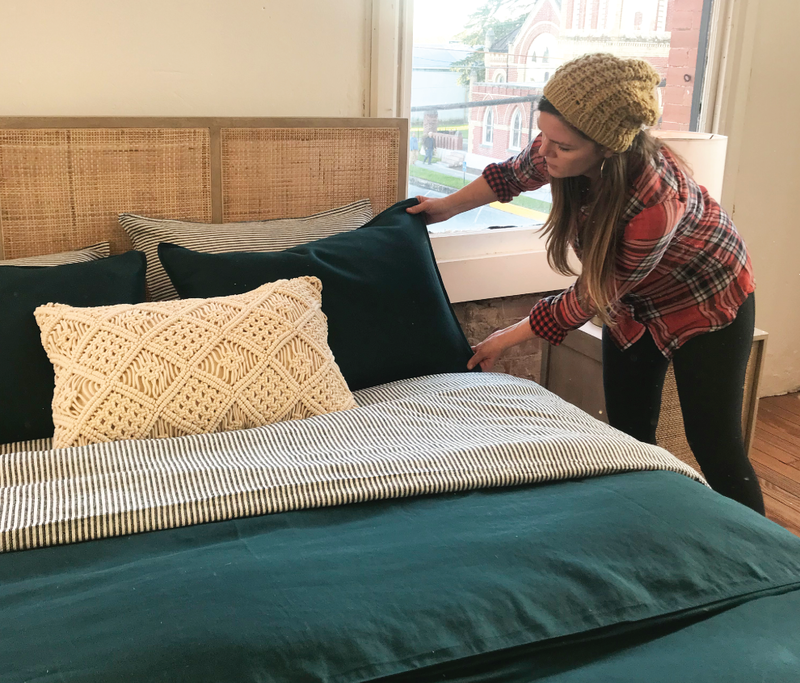 With countless Markets and photo shoots under her belt, Hilary has beautifully styled over 400 beds for Four Hands. 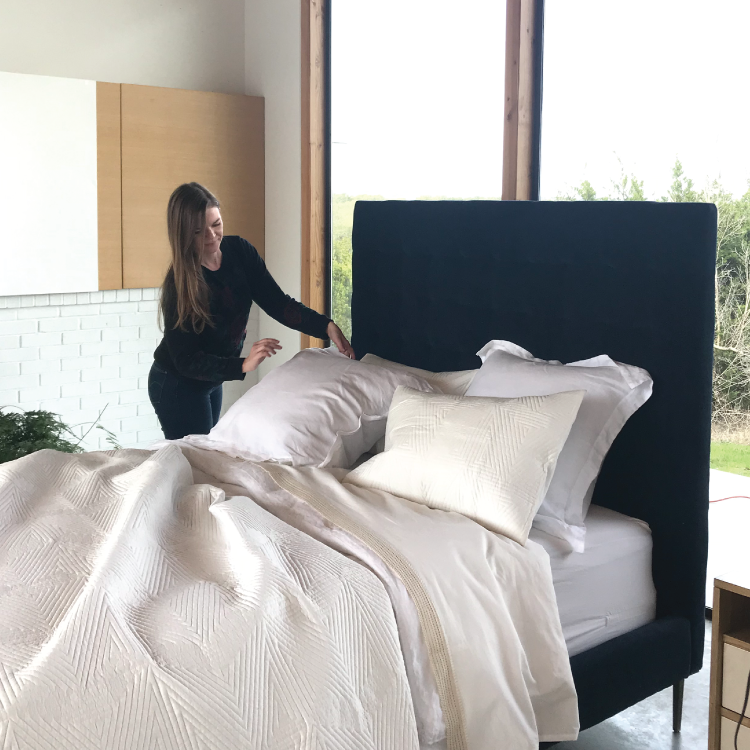 See her handiwork in-action below, with sneak peeks from our latest shoot. Layering is key to adding visual interest.